Valentine’s Day might be cheesy, but it’s a great opportunity to show the person you like your true feelings. You can be as cheesy as you want and blame it on Valentine’s. This is your opportunity to impress your significant other! For all the guys out there: just buy her roses. Even if she says she doesn’t want them, deep down she really does. Add in a box of chocolates and all the times you’ve screwed up will be forgotten. Go to a concert at VERA - it won’t cost you much but the gesture is grand. Treat your significant other like the prince/princess they are and take them to the Prinsentuin for a high tea. Maybe you can even pick a flower for them. For the girls: take the pressure off your s.o. by taking him out to dinner and showering him with embarrasing gifts in public. The bigger the teddy-bear, the better. Especially hilarious if he hasn't bought a gift for you. If you are single or you’re just one of those people who hate hallmark holidays and are against the consumerist nature of Valentine’s Day, there are enough things to do this February 14th. Are you tired of dating? Try the Speeddate Dinner to speed up your chances of finding someone special. Or go to the Speeddating session at the Student Hotel. De Negende Cirkel is having a Valentine’s event and we all know what that means… Alternatively, go to het Feest. Go see “Fifty Shades of Grey” on the big screen at DOT. Maybe you can ask the person sitting next to you what they thought of the movie as a good ice breaker. Attend ESN’s Stoplight Party. Makes life easier if you see who else is single and ready to mingle. Avoid getting rejected, go for green! (or orange, if you like a challenge). Switch things up completely for a night at the Gender in the Blender party, maybe you’ll find your true calling. Celebrate the colour red with red cups at the American Pie Party at Chupitos. Treat yourself to a self-love day - buy chocolate and a gift for yourself and tell yourself that you are strong and independent and don’t need no better half. Ideally postpone this to the 15th, so the Valentine's chocolates are on discount. Bonus points if you complain to everyone that Valentine’s Day is just so commercial and made by Hallmark bla bla bla zzzz. How are you going to spend valentines day? Let us know in the comments below! Hey! 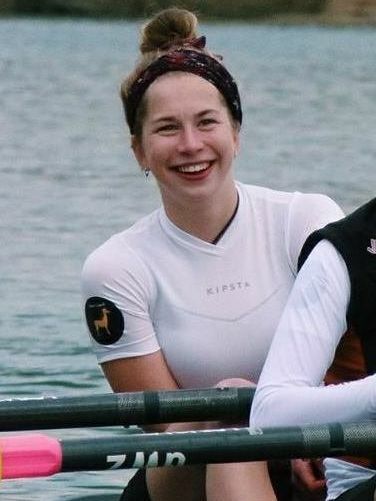 I’m Danique, a Dutch/American studying International Relations and International Organizations with a mild obsession with coffee, cats, and rowing. If you can’t find me, look for the girl (almost always) wearing pink and writing blogs.